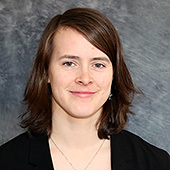 Anna Furberg’s research is about flows and emissions of nanomaterials and the environmental performance of these materials from a systems perspective. The environmental assessment methods that she applies are material flow analysis (MFA) and life cycle analysis (LCA). Currently, she is investigating the flows of tungsten hard materials and the emissions that arise from the use of these materials. Anna participates in the “Mistra Environmental Nanosafety” programme and more specifically in the part of the programme that is about nanoparticles in the environment and the nanomaterials’ life cycles. There might be more projects where Anna Furberg participates, but you have to be logged in as a Chalmers employee to see them.